[Jean-Baptiste Moët] wrote a Code for Cythera inspired, at least so he alleged, by Plautus. The antiquity of this source did not make it any more respectable. The establishment he had in mind was to have room for twelve hundred life members, called "Courtesan Girls" or "Love Favourites" who would be divided between four houses situated in different parts of the capital. The girls would be exempted from taxes. Admission would be open to girls over fifteen years of age who presented themselves with a certificate signed by two matrons to the effect that they were no longer in possession of their virginity. A fund of 6,000 livres would be raised (the author does not specify how or by whom) for the building of these four establishments. their purpose would be revealed by a sign placed over the front door, representing a blindfolded god of love. Les sociétés d'amour au xviiie siècle (1906). Each courtesan would be made to pay a sum of £500 upon her admission, and be required to show a certificate from the establishment's registered surgeon and general visitor to the effect that her health was unimpaired. After six years' service, the Favourites would be allowed to retire to the Filles Pénitentes convent or to the Madelonnettes, or to live on their own if they so desired. As soon as they reached the age of forty years and one day, when "reason and temperance should have replaced the ardours of youth and the appetite for pleasure", the Favourites would retire as mentioned above, with a pension. Any children born to the Favourites would be placed in a Foundling Hospital to be brought up and educated with the greatest care. 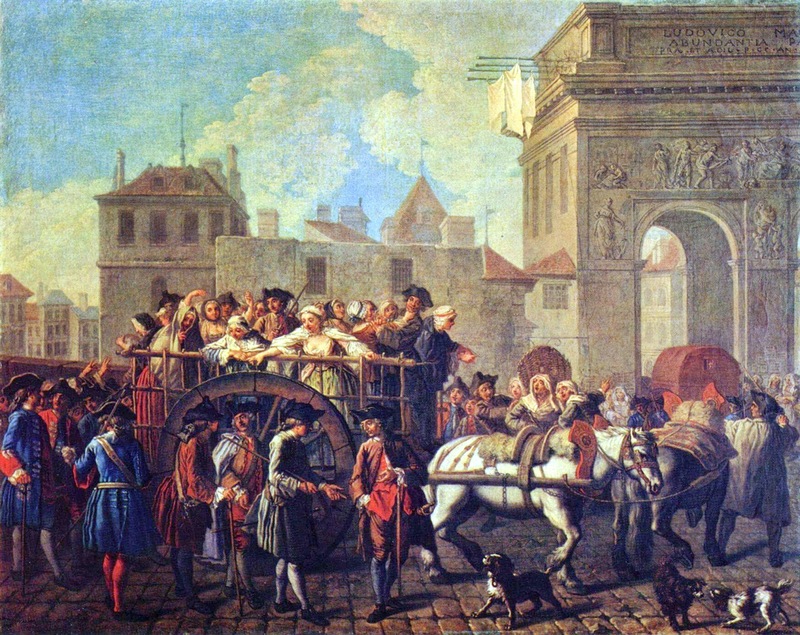 The inmates of the four establishments would be divided into three categories of a hundred Favourites each: "Young Favourites" (under twenty); "Joyous Cortesans" (between twenty and thirty years old) and "Mature Women". There would be nominated upon a hereditary basis one hundred and twenty duennas known as "Controlling Sisters" and two hundred and twenty "Mother Directresses". Ex-procuresses who had never appeared before a court of justice were eligible for these posts. "The Controlling Sisters will receive every client who presents himself at the gates and asks for an amorous rendezvous with one of the inmates. The Sisters will inspect them and refuse entry to clients who are not in good health. Clients suffering from ill-health will be made to pay a fine of £10. The funds raised from these fines will be used for house repairs. "The Mother Directresses will teach the Favourites the gestures, postures, pleasantries, stimulating exercises etc., destined to increase the delights of the senses. In the intervals between their work, the Favourites will be permitted to read, but care will be taken to avoid books capable of stimulating the already over-active desires of those who read them for this would be tantamount to pouring oil on the fire. "The Favourites will wear a distinctive uniform, also a pink taffeta bonnet embroidered with a bow and arrow and two numbers indicating their category and rank. The use of rouge is forbidden to the Young Favourites but the other categories will be allowed to apply it in moderation. "The Favourites of the two senior categories will rub their faces every evening with a pommade of snails and cucumber to make their complexions soft and fresh. The use of paint is forbidden. "It is expressly forbidden to use bed-warmers in the winter. Our Courtesans and Favourites must never undress themselves completely even in the midst of debauche. From the age of fifteen to thirty they will wear boned corsets. "Our Courtesans must be gentle and affable with old gentlemen. Rigorous methods would only frighten them - perhaps even kill them. We therefore allow our Favourites to assist all gentlemen over the age of sixty so long as these forms of assistance are neither too fatiguing nor two humiliating. 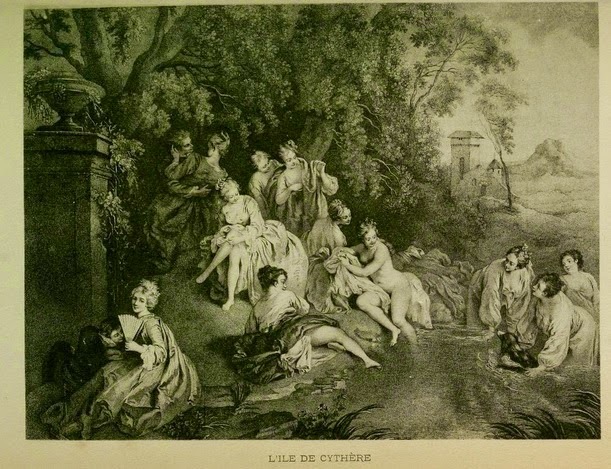 "The Young Favourites will be allowed to see three gentlemen per day, but they may not keep them in their room for more than three hours at a time; the Joyous Courtesans may keep them for two hours only, whereas Mature Women may see four men a day but only for one hour at a time. "On the days of lunar influence, our ladies will be replaced by aspirants. During these days of rest the Favourites may walk in the public gardens or go to the theatre provided they are not accompanied by one of their colleagues. They must not allow themselves to be accosted in the street. "If the Favourites commit a grave fault, they will be sent to the Hospital of the Faubourg Saint-Martin. Each establishment will be provided with a pharmacy and an apothecary and there will be a medical visit twice a week. An armed company of twenty archers under a commandant will be responsible for the maintenance of law and order in the vicinity of our various establishments." The Code ends with a carefully calculated estimate of expenses and receipts which prove that the author - a Monsieur Moët - had a good business sense. Nina Epton, Love and the French (World Publishing,1959) p.260-2.